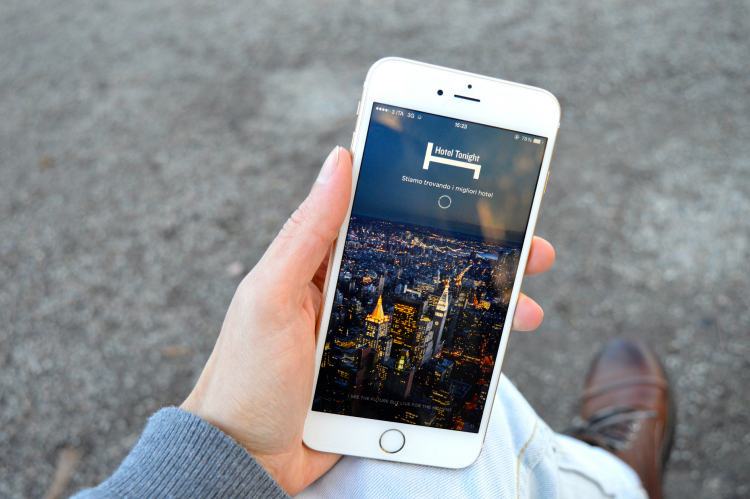 Home Blog Why your hotel needs a mobile app? Mobile technology has influenced a lot on our living style. Smartphones are our today’s reality. Mobile travel sales in India are expected to rise at 61.1% annual growth rate from 2017-2020. According to the research of Google India, it is said that by 2020 one in three hotel rooms will be booked online. 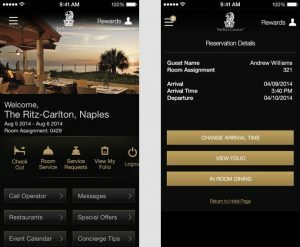 Hotels can boost their services via app and increase the revenue. Where do customer makes bookings from? According to Google India and BCG report, on an average travel customer spend 49 minutes spread over 46 days, visiting as many as 17 different online touchpoints to plan, research, and make a booking. It is said that 62% bookings are through mobile, whereas 60% through the app and 40% through the phone websites. There is a lot of potential value in having a branded mobile app. 80% of last minute bookings happen on mobile devices. It is much useful for the guest as they can check all the information about amenities, restaurant timings, food provided, extra services such as towels, toiletries, bed sheets, extra bed, room service timing etc. Instead of calling the front desk for the services, you can directly request them on the app. Many guests are not comfortable speaking in local languages hence the app helps them to communicate better. 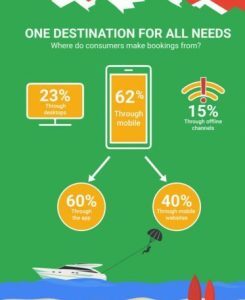 A study showed that 74% of hotels surveyed are aware of the importance of booking via a mobile app for their guest, but only 1/4 of properties are actually taking advantage of this opportunity. Therefore, by having their own app hotel can create an important competitive advantage. Hotel guest can be encouraged to give feedback via an integrated review function. Hoteliers can enrich stay by including local attraction with distance, nearby restaurant, weather forecast, nearby Airport, Railway station and Bus stops.